In order to be eligible to play in this event a team must have played in one Regional Bid Event in the 18 Open or Club division. This event will be scheduled before the regional reporting deadline for the 18 and under divisions that is set by USAV. The event date will be chosen by the Junior Board based on a recommendation by the Competition Committee. No team or player playing in the NTR McChesney Regional Championship will be allowed to play in any other Regional Bid Championship. This event will take place the weekend prior to the NTR Regional Bid Championship: Pre Qualifying is not necessary to enter this event. ***2017-2018 It is no longer possible to earn a bid into the NTR Bid Regionals by placing in the Top Four of the McChesney tournament. *** Any team with a waivered player(s) must play in the division of the highest classification age player on the team’s roster in NTR bid events and all regional events. A team must have played in at least two Regional Bid Events to be eligible to play in the NTR Regional Bid Championship. A team is considered to have met this requirement if they play Open or Club in any Bid event. In addition, all teams must have met one of the following requirements. A team must have advanced to the highest playoff or bracket of the Open division of any Regional Bid Event or one of the two highest playoff brackets of any Regional Bid Event using the Power Pool Format. A team must have finished in the top four of the highest playoff or bracket of the Club division of any Regional Bid Event. The number of NTR representatives for their respective National Tournaments will be established by USA Volleyball and will be the top finishers at the NTR Regional Bid Championship. NOTE: We will update if there is any reallocation of bids from USA Volleyball. 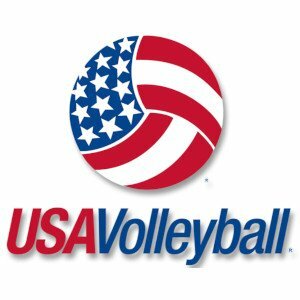 All teams playing in any Regional Championship tournament must meet entry requirements for the USA Volleyball Junior National Championship. Teams that qualify for the USAV Junior National Championship prior to the NTR Regional Bid Championships cannot participate in any Regional Championship. These numbers are subject to change and include re-allocations assigned by USAV.